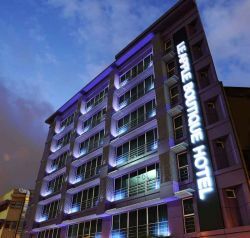 Well-positioned in Bukit Bintang, Le Apple Boutique Hotel Bukit Bintang is the ideal point of departure for your excursions in Kuala Lumpur. Situated only from the city center, guests are well located to enjoy the town's attractions and activities. This modern hotel is in the vicinity of popular city attractions such as Bintang Walk, Fareinheit 88 Shopping Mall, Fahrenheit 88 Shopping Mall. Take advantage of a wealth of unrivaled services and amenities at this Kuala Lumpur hotel. The hotel offers access to a vast array of services, including free Wi-Fi in all rooms, 24-hour front desk, luggage storage, Wi-Fi in public areas, family room. Hotel accommodations have been carefully appointed to the highest degree of comfort and convenience. In some of the rooms, guests can find television LCD/plasma screen, internet access – wireless, internet access – wireless (complimentary), non smoking rooms, air conditioning. Besides, the hotel's host of recreational offerings ensures you have plenty to do during your stay. Le Apple Boutique Hotel Bukit Bintang is a smart choice for travelers to Kuala Lumpur, offering a relaxed and hassle-free stay every time.